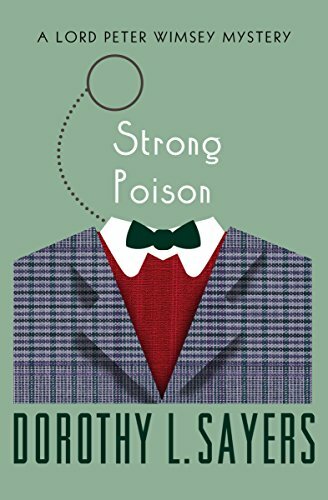 Today’s Kindle Daily Deal for adults is Strong Poison , by Dorothy L. Sayers, and this book was $14.99 yesterday in the Amazon Kindle store but has been discounted 87% to just $1.99 for today only. This book has received an average user rating of 4.6 out of 5 stars based on 63 customer reviews. 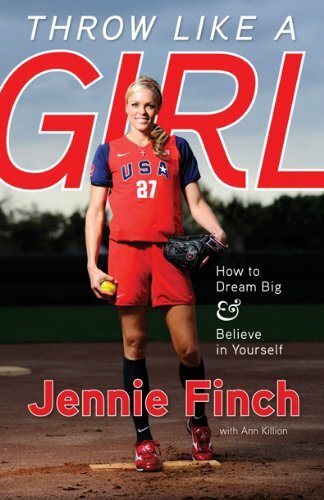 Today’s Kindle Teens Daily Deal is Throw Like a Girl: How to Dream Big and Believe in Yourself, by Jennie Finch and Ann Killion, and this book was $14.95 yesterday but has been discounted 80% to just $2.99 for today only. This book has received an average user rating of 4.9 out of 5 stars based on 42 customer reviews. 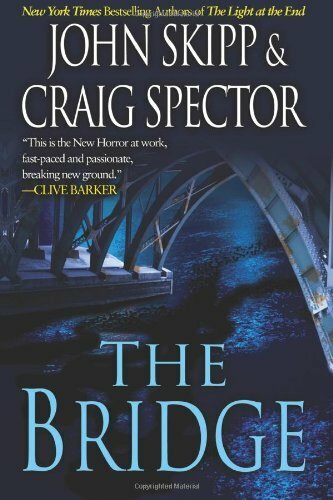 Today’s Kindle Sci-Fi / Fantasy Daily Deal is The Bridge, by John SKipp, and this book was $4.99 yesterday but has been discounted 60% to just $1.99 for today only. This book has received an average user rating of 4 out of 5 stars based on 23 customer reviews. Today’s Kindle Romance Daily Deal is The Scandalous Marriage , by M.C. 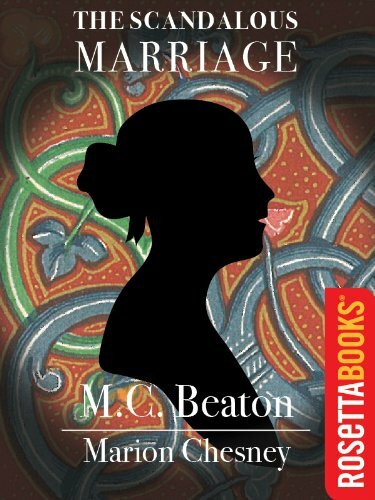 Beaton and Marion Chesney, and this book was 5.99 yesterday but has been discounted 67% to just $1.99 for today only. This book has received an average user rating of 4.3 out of 5 stars based on 7 customer reviews. Click here or type in http://smarturl.it/dailydeal into your web browser to pick up your copy of Strong Poison . Throw Like a Girl inspires, motivates, and answers questions on issues that are specific to being a female athlete. Finch’s book addresses the entire life of today’s girl-not just fitness or physical preparation, but how to integrate the lessons of sports into life. Click here or type in http://smarturl.it/dailydeal into your web browser to pick up your copy of Throw Like a Girl: How to Dream Big and Believe in Yourself . When the great storm comes, the good life ends. And hell on Earth begins. For 100 years we’ve been tossing our toxic waste over our shoulders. No more. This morning, while we slept, something woke up. It’s virulent. Malign. Intelligent. Ambitious. It’s in our food, our water, our air. It’s inside our bodies themselves. And it’s not leaving. We are. Click here or type in http://smarturl.it/dailydeal into your web browser to pick up your copy of . Her mother, however, had loftier aspirations for her lovely younger sister Belinda. Belinda would marry a duke. More specifically, the Duke of Wardshire. Lucy was truly horrified. “Lucifer” Wardshire! Why, he was rumored to be as wicked as the devil, with orgies and mistresses—and worse! As the London Season unfolded, Lucy couldn’t decide who was more abominable, her vulgar mama or the arrogant yet disconcertingly handsome duke. No matter, Lucy vowed to go to any lengths to protect her sister, even if her mission should take her into the very arms of the devilish duke himself…. Click here or type in http://smarturl.it/dailydeal into your web browser to pick up your copy of The Scandalous Marriage . Today’s Free App of the Day is Genius Scan , and this app is normally $0.99 in the Amazon App Store but is free for today only. You can pick up your free copy of Genius Scan by clicking here or typing in http://smarturl.it/appdeal into your web browser. Here are nine discounted Kindle book offers for your consideration from highly-rated independent authors who have discounted the pricing for a limited time just for members of the blog. 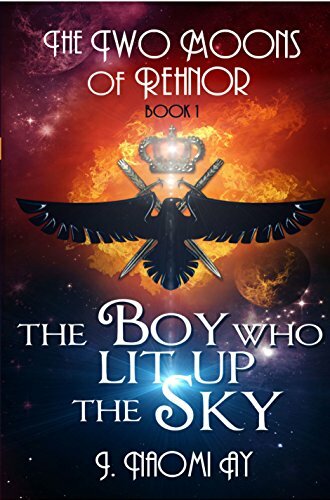 The Boy Who Lit Up the Sky, by J. Naomi Ay, is regularly $2.99 but has been discounted 67% to just $0.99 in the Amazon Kindle store, and this book has received an average user rating of 4.8 out of 5 stars based on 12 customer reviews. Click here or type in http://smarturl.it/bbyyng into your web browser to pick up your copy of The Boy Who Lit Up the Sky . 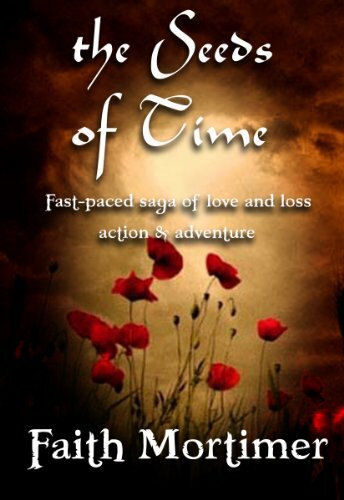 The Seeds of Time , by Faith Mortimer, is regularly $2.99 but has been discounted 67% to just $0.99 in the Amazon Kindle store, and this book has received an average user rating of 5 out of 5 stars based on 10 customer reviews. Four Weddings and a Fiasco, is a three book box set collection by Lucy Kevin, is regularly $4.99 but has been discounted 80% to just $0.99 in the Amazon Kindle store, and has received an average user rating of 4 out of 5 stars based on 91 customer reviews. SILVER MEDAL – 2011 Readers Favorite Book Awards. 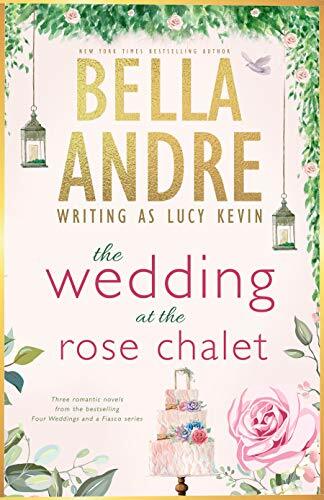 THE WEDDING GIFT (Book 1): After Julie Delgado’s restaurant closes, she temporarily takes over the catering position at the Rose Chalet, a full-service San Francisco wedding venue. She plans to dazzle the bride and groom so the Chalet’s owner will keep her around, but fate has other plans for her when the bride’s brother shows up for the first food tasting. THE WEDDING DANCE (Book 2): Phoebe Davis, the Rose Chalet’s florist, knows nothing is permanent—not the floral arrangements she creates, not the weddings she helps produce, and certainly not her parents’ marriage which ended in a bitter divorce. Certain that all relationships come with strings attached, she has always worked to live for the moment and not to have any ties…ever. THE WEDDING SONG (Book 3): Tyce Smith, the DJ and band leader for the top wedding venue in San Francisco, hasn’t written a new song in five years. Not since the fateful night he kissed the woman of his dreams, and she left him with nothing but a first name and no way to find her. When fate steps in a second time, he can’t make the mistake of letting her run again…even if the hurdles in the way of true love seem bigger than ever. Click here or type in http://smarturl.it/pbqlsk into your web browser to pick up your copy of Four Weddings and a Fiasco . 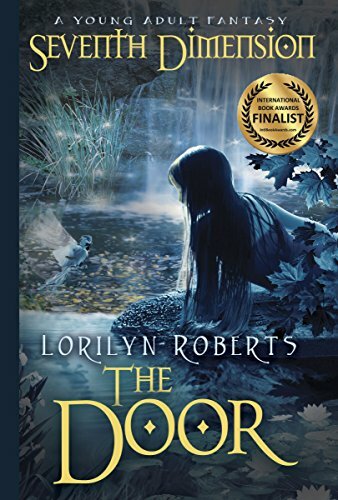 Seventh Dimension – The Door, by Lorilyn Roberts, is regularly $2.99 but has been discounted 67% to just $1.99 today in the Amazon Kindle store, and this book has received an average user rating of 4.7 out of 5 stars based on 43 customer reviews. This book is about our need for ultimate love and understanding. Set in today’s society where self-doubt, bullying, broken homes and brokenness is rampant, this book is a must read. “Seventh Dimension – The Door” is a first-hand account of a young girl, Shale Snyder, who is treated unfairly by her family, school, and classmates. Fear distorts her sense of self-worth and she is enveloped with guilt because of a secret from her past. While on a sojourn similar to Christian in “Pilgrim’s Progress,” Shale discovers talking animals and a handsome young man with whom she falls in love. Her journey is one of self-discovery as she battles personal demons, family conflict, wicked underlings, and comes face-to-face with a personal decision she must make – bound up in the king she meets in first century Israel. Click here or type in http://smarturl.it/smqcq1 into your web browser to pick up your copy of Seventh Dimension – The Door . Angel Series (Books 1, 2, & 3), is a three book box collection by Lisa Grace, is regularly $5.50 but has been discounted 46% to just $2.99 today in the Amazon Kindle store, and this book has received an average user rating of 4.5 out of 5 stars based on 16 customer reviews. 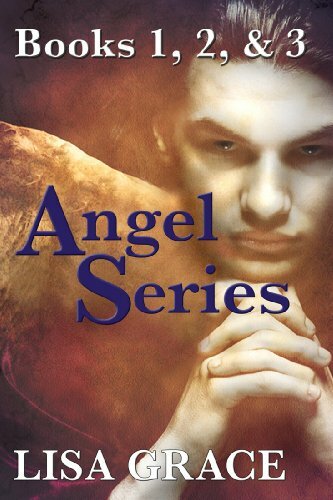 This Angel Series volume contains Angel in the Shadows, Book 1; Angel in the Storm, Book 2; and Angel in the Ice, Book 3. The Angel Series is optioned for film by Motion Picture Pro Studios, (which has been involved with five academy award winning movies), and is currently in development. Fifteen-year-old Megan Laughlin has a gift or what seems like a curse at times–to see angels. When Judas, an evil angel, enrolls in her high school he threatens to destroy her family, friends, and classmates. Why has Judas targeted Megan and those she loves? At school she recognizes an über popular boy, as a demon hell-bent on destroying her and everyone she loves. As Judas spreads horrible rumors and overdoses two of her classmates at a rave, Megan realizes the enormity of his power. While classmates die, Megan, with the help of an angel, Johnny, and a team of friends will face the fight of their lives as they battle Judas. Max, Megan’s younger brother, is missing. He’s been sold to human traffickers in New Orleans by the evil angel Judas. Megan is soon arrested and charged with her missing brother’s murder. The only way to clear her name is to find Max. With the help of Johnny, who is a good angel, and her friends, Megan is soon on the run in a desperate attempt to find and rescue Max. Megan Laughlin has a gift, or what seems like a curse at times, to see angels. Judas, an evil angel enrolled in her high school, tags along with her youth group on their winter-break ski trip. While in the mountains of North Carolina, an approaching blizzard provides Judas the perfect cover– to up the death count and gather more souls. Meanwhile, Seth discovers his gift, Sam fights his drug addiction, and Megan is confronted by Judas to deliver on her promise. Seemingly, harmless temptations have life-changing consequences for the survivors at the resort. Click here or type in http://smarturl.it/angel123 into your web browser to pick up your copy of Angel Series (Books 1, 2, & 3). 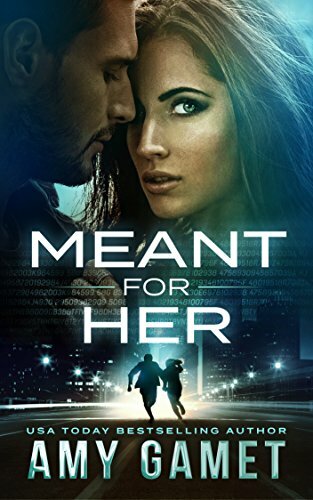 Today’s Featured Kindle Book of the Day is Meant for Her, by Amy Gamet, is normally priced at $3.99 but has been discounted 75% to just $0.99 in the Amazon Kindle store; this book has received an average user rating of 4.3 out of 5 stars based on 45 customer reviews. Julie Trueblood’s name is found alongside an encrypted message in the safe deposit box of a dead man, bringing Navy investigator Hank Jared to her door, looking for answers. The daughter of the most infamous spy of the twenty-first century, Julie denies any knowledge of the man or the cipher and sends Hank away. Hank is supposed to be in the Adirondacks walking his sister down the aisle, not chasing leads on a John Doe murder investigation that doesn’t even appear to be Navy-related. He’s a military man through and through, and while an order is an order, he hasn’t given up hope of finding a way to make the ceremony. When Julie’s life is in danger, Hank finds the perfect place to hide her, right by his side, pretending to be his girlfriend at his sister’s wedding. Now he just needs to remember their relationship is all an act. Click here or type in http://smarturl.it/qb5t9h into your web browser to pick up your copy of Meant for Her . I have three kids, a husband, a slightly stinky and poorly trained dog, and an ancient calico cat who doesn’t like people. My house is in a perpetual state of disarray despite my constant attempts to clean it. Old women at grocery stores tell me how lucky I am, that it all goes so fast, and I nod my head and say something pithy like, “It sure does!” while trying to keep the baby from changing the language on the card reader screen or voiding my entire transaction. People ask when I find time to write, and I point to my husband, the sweet frazzled sight of him as he hoses down a screaming child with one hand and unloads the dishwasher with the other. That, my friends, is romance. Well, it’s what the best romances turn into if you’re lucky. As you read this, I’m probably putting someone into time-out, cleaning something, or explaining to my progeny why I put him/her into time-out or why I shouldn’t have to clean whatever it was I just cleaned. Or maybe, if your timing is just perfectly right, I’m sitting on the purple reclining loveseat in a basement full of toys, writing my next big novel while my husband takes care of the chaos for a while. For him, and for the kids and the stinky, cranky pets, and for the opportunity to tell you a story, I am grateful. I hope you enjoy my work. You can visit Amy’s Amazon author page if you click here or type in http://smarturl.it/amygamet into your web browser. 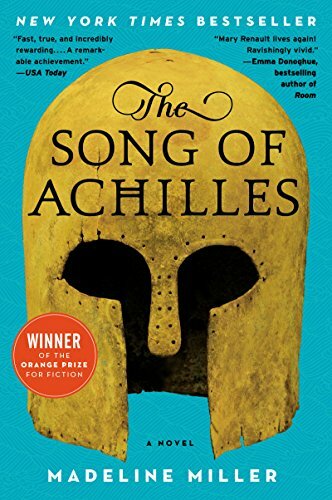 Today’s Kindle Daily Deal for adults is The Song of Achilles , by Madeline Miller, and this book was $14.99 yesterday in the Amazon Kindle store but has been discounted 87% to just $1.99 for today only. This book has received an average user rating of 4.1 out of 5 stars based on 375 customer reviews. 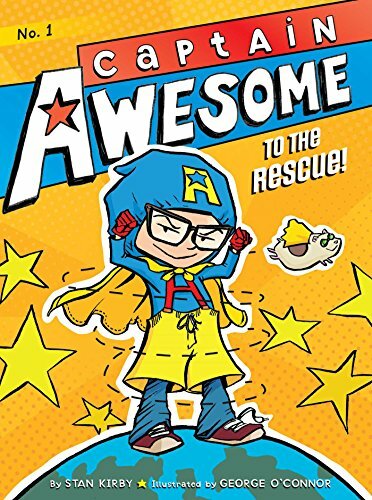 Today’s Kindle Kids Daily Deal is Captain Awesome to the Rescue, by Stan Kirby and George O’Commor, and this book was $4.99 yesterday but has been discounted 80% to just $0.99 for today only. This book has received an average user rating of 4.7 out of 5 stars based on 6 customer reviews. Today’s Kindle Sci-Fi / Fantasy Daily Deal is Earth Strike, by Ian Douglas, and this book was $7.99 yesterday but has been discounted 88% to just $0.99 for today only. This book has received an average user rating of 4 out of 5 stars based on 95 customer reviews. I’ve read this one, and the successive novels in the series, and thought it was pretty good. 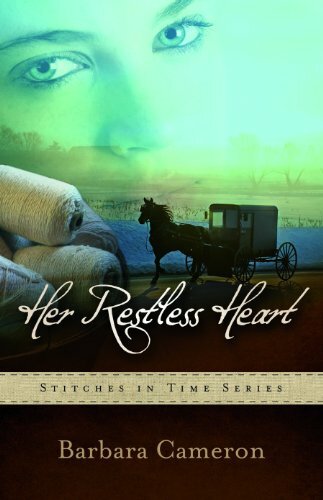 Today’s Kindle Romance Daily Deal is Her Restless Heart , by Barbara Cameron, and this book was 14.99 yesterday but has been discounted 80% to just $2.99 for today only. This book has received an average user rating of 4.5 out of 5 stars based on 68 customer reviews. Click here or type in http://smarturl.it/dailydeal into your web browser to pick up your copy of The Song of Achilles . Now readers between the ages of five and seven can read chapter books tailor-made for a younger level of reading comprehension. Heavily illustrated with large type, Little Simon’s young chapter books let young readers feel like they are reading a “grown-up” format with subject, text, and illustrations geared specifically for their own age groups! Click here or type in http://smarturl.it/dailydeal into your web browser to pick up your copy of Captain Awesome to the Rescue . In the vein of the hit television show Battlestar Galactica comes Earth Strike—the first book in the action-packed Star Carrier science fiction series by Ian Douglas, author of the popular Inheritance, Heritage, and Legacy Trilogies and one of the most adept writers of military sf working today. Earth Strike rockets readers into a vast and deadly intergalactic battle, as humankind attempts to bring down an evil empire and establish itself as the new major power. 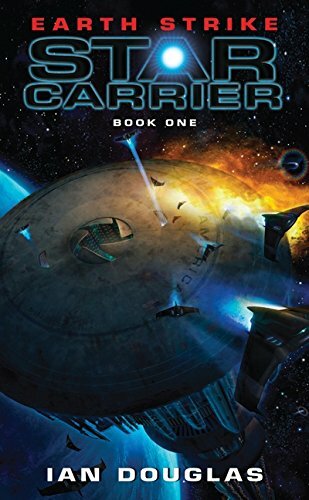 Fans of Robert Heinlein’s Starship Troopers and Joe Haldeman’s The Forever War, welcome aboard the Star Carrier! Click here or type in http://smarturl.it/dailydeal into your web browser to pick up your copy of Earth Strike . Mary Katherine is caught between the traditions of her faith and the pull of a different life. When Daniel, an Amish man living in Florida, arrives and shares her restlessness, Mary Katherine feels drawn to him and curious about the life he leads away from Lancaster County. But her longtime friend Jacob has been in love with her for years. He’s discouraged that she’s never viewed him as anything but a friend and despairs that he is about to lose Mary Katherine to this outsider. Will the conflicted Mary Katherine be lost to the Englisch world, or to Daniel, who might take her away to Florida? Or will she embrace her Amish faith and recognize Jacob as the man she should marry and build a life with? Click here or type in http://smarturl.it/dailydeal into your web browser to pick up your copy of Her Restless Heart . Today’s Free App of the Day is Rebuild , and this game app is normally $2.99 in the Amazon App Store but is free for today only. You can pick up your free copy of Rebuild by clicking here or typing in http://smarturl.it/appdeal into your web browser. 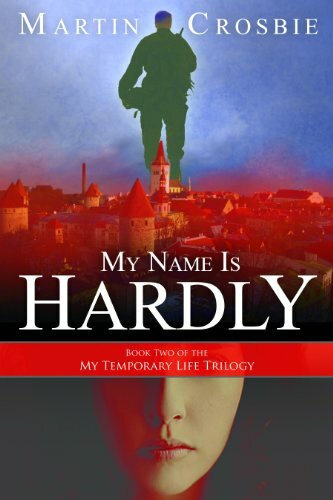 My Name is Hardly, by Martin Crosbie, is regularly $4.99 but has been discounted 40% to just $2.99 in the Amazon Kindle store, and this book has received an average user rating of 4.5 out of 5 stars based on 70 customer reviews. Click here or type in http://smarturl.it/r7uh7r into your web browser to pick up your copy of My Name is Hardly . 31 Bible Verses by Subject Master Collection Volume 1 , by Chris Brown, is regularly $2.99 but has been discounted 67% to just $0.99 in the Amazon Kindle store, and this book has received an average user rating of 4.8 out of 5 stars based on 14 customer reviews. 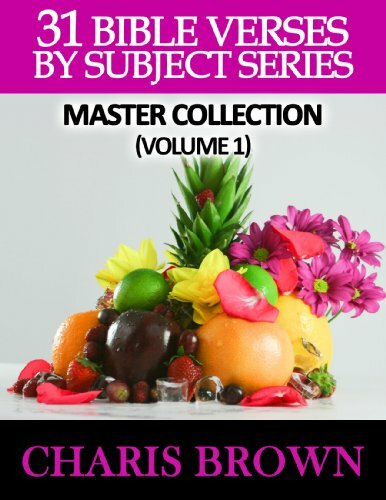 31 Bible Verses By Subject Master Collection Volume 1 is a compilation of the first five kindle eBooks in this series. This essential quick reference tool provides 31 Powerful Bible Verses on the subjects of Strength,Prosperity,Faith,Healing and Encouragement! Each eBook has a Note of Encouragement,31 Bible Verses on the Subject in full Scripture Text(in the King James Version) and Scripture Meditation Tips. 31 Bible Verses By Subject Master Collection (Volume 1) provides the Confidence you need in God and His Word to Win in Life! Click here or type in http://smarturl.it/i1xq2o into your web browser to pick up your copy of 31 Bible Verses by Subject Master Collection Volume 1 . 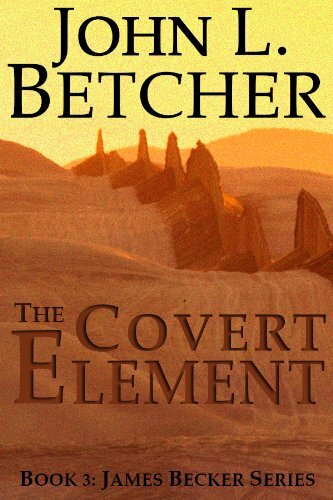 The Covert Element, by John L. Betcher, is regularly $2.99 but has been discounted 67% to just $0.99 in the Amazon Kindle store, and has received an average user rating of 4.4 out of 5 stars based on 45 customer reviews. Click here or type in http://smarturl.it/i9cuhe into your web browser to pick up your copy of The Covert Element . 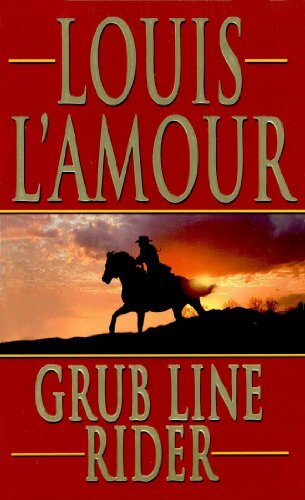 Grub Line Rider, by Louis L’Amour, is regularly $6.99 but has been discounted 72% to just $1.99 today in the Amazon Kindle store, and this book has received an average user rating of 4.3 out of 5 stars based on 23 customer reviews. The fury of the Wild West explodes in this thrilling dramatization of the Louis L’Amour classic Grub Line Rider. Most folks would call Kim Sartain an easygoing, peace-loving man. But the few who crossed the young drifter knew there was nothing he liked better than a good fight. When cattleman Jim Targ challenges Sartain’s right to ride across an unclaimed stretch of meadow, Sartain decides he’ll do better than ride through: He’ll put down stakes there and homestead the land. Soon there’s more at risk than land and pride when Targ hires a gunman to teach Sartain a permanent–and deadly–lesson. Click here or type in http://smarturl.it/qlr3tq into your web browser to pick up your copy of Grub Line Rider . Transfiguration, by Paul Weber, is free today in the Smashwords store, and this book has received an average user rating of 5 out of 5 stars based on 8 customer reviews. If you missed the post on how to download free books from the Smashword site, you can click here or type in http://smarturl.it/pe3m7d into your web browser. The biological history of species change seems to indicate that evolution occurs, not in gradual change over eons, but in sudden, violent change in a short period of time. What exactly causes these changes is not known, but they seem to appear at times of great environmental stress. In the near future, after a great pandemic wipes out much of the earth’s human population, a further cataclysm occurs: an ice age begins. Under the stress of this vast environmental change, new species of animals and plants begin to appear, almost overnight. Among these new species is a new type of human, small of stature, but possessing uncanny intelligence and mental abilities far beyond those of ordinary people. Are these new creatures our bright future, or our bitterest enemies? Click here or type in http://smarturl.it/dqa9ro into your web browser to pick up your copy of Transfiguration. Here are seven discounted and free Kindle book offers for your consideration from highly-rated independent authors who have discounted the pricing for a limited time just for members of the blog. While the pricing of the free status is valid at the time of this posting, please make sure you check the pricing carefully before you press the “buy” button as it could change at any time! 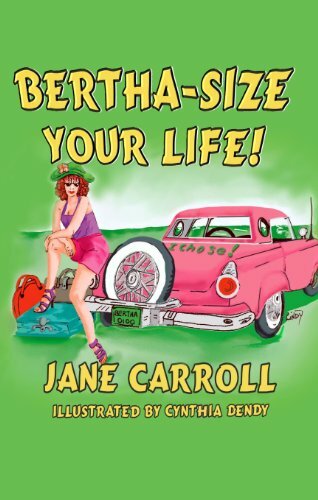 Bertha Size Your Life, by Jane Carroll, is regularly $2.99 but has been discounted 67% to just $0.99 in the Amazon Kindle store, and this book has received an average user rating of 4.6 out of 5 stars based on 42 customer reviews. Today is also Jane’s birthday, so why not give her book an extra look! Click here or type in http://smarturl.it/bertha into your web browser to pick up your copy of Bertha Size Your Life . 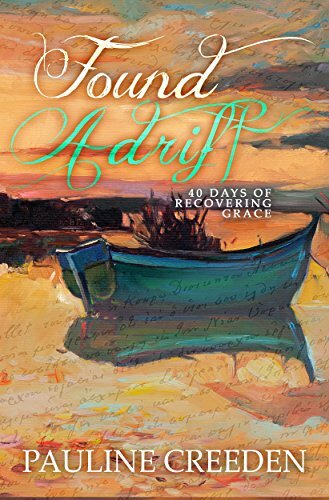 Found Adrift: 40 Days of Recovering Grace , by Pauline Creeeden, is regularly $1.99 but has been discounted 50% to just $0.99 in the Amazon Kindle store, and this book has received an average user rating of 4.8 out of 5 stars based on 19 customer reviews. I don’t know about you, but I’m easily distracted. If God set me in a rowboat on the water and told me to pay attention and not let myself drift too far from the shoreline, I’m sure I’d be in the middle of the lake before I realized I’d drifted from the shore. Then sitting in the middle of that lake, I’d realize I didn’t have a paddle. And sometimes I feel so far away that no one on the shore could possibly hear me. Click here or type in http://smarturl.it/sq4pn0 into your web browser to pick up your copy of Found Adrift: 40 Days of Recovering Grace . 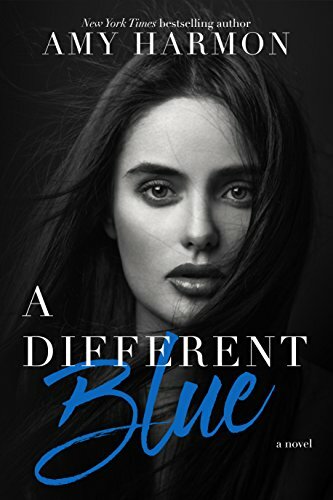 A Different Blue, by Amy Harmon, is regularly $2.99 but has been discounted 67% to just $0.99 in the Amazon Kindle store, and has received an average user rating of 4.9 out of 5 stars based on 217 customer reviews. Click here or type in http://smarturl.it/89lqjp into your web browser to pick up your copy of A Different Blue . 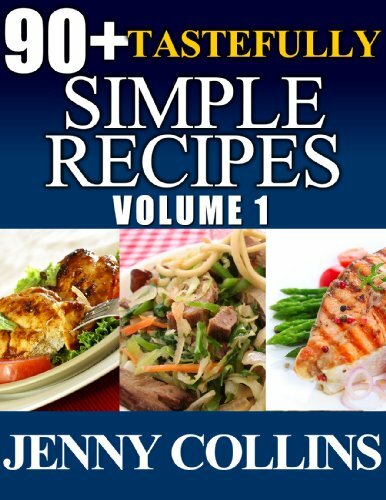 90+ Tastefully Simple Recipes Volume 1: Chicken, Pasta, Salmon Box Set, by Jenny Collins, is regularly $4.48 but has been discounted 78% to just $0.99 today in the Amazon Kindle store, and this book has received an average user rating of 4.5 out of 5 stars based on 13 customer reviews. In this kindle book you will find Quick, Easy, Healthy recipes you can prepare over and over again for yourself and for your family. Each book is littered with stories from the Collins household ”” adding its own unique spice to each recipe. Contains a wonderful selection of 31 Boneless Chicken Breast Recipes to try out in your own home, especially if you are a busy person as the majority of these recipes can be prepared and cooked in less than an hour. Chicken breasts are very healthy and lean, especially when cooked without the skin. When cooking with boneless chicken breasts there is sure to be a recipe to please most palates in this book. These recipes are suitable for simple suppers on a week night or as a delicious dish for a weekend dinner party. Contains a delightful collection of cold pasta salad dishes, containing some unusual and tasty recipes along with some of the more traditional favourites. Prepared with fresh ingredients these cold pasta salad dishes are great for any meal from a quick lunch to a special dinner party dish. They are also a firm favourite for any lunch box and are ideal to have at a barbecue or to take with you on a picnic. These pasta salads are a great way to introduce children to fresh fruit and vegetables in an interesting way. The majority of them are quick and easy to prepare, so why not get the children involved in the fun preparation teaching them how to prepare nutritious food at an early age can only be good for them. Is packed full of delicious tasty Salmon dishes for all the family to enjoy. Throughout this book of tried and tested recipes you will find that most of the recipes can be easily prepared and only take a short time to prepare and cook. Included in this recipe book are a few dishes that you may not have tried before. All recipes and dishes are ultimately very healthy and extremely tasty. Click here or type in http://smarturl.it/qj79n9 into your web browser to pick up your copy of 90+ Tastefully Simple Recipes Volume 1: Chicken, Pasta, Salmon Box Set . 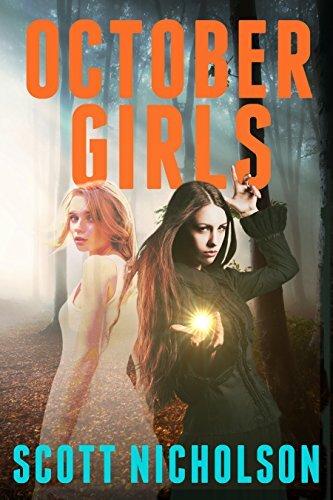 October Girls, by Scott Nicholson, is regularly $3.99 but has been discounted 75% to just $0.99 today in the Amazon Kindle store, and this book has received an average user rating of 4.1 out of 5 stars based on 26 customer reviews. Click here or type in http://smarturl.it/gdur8e into your web browser to pick up your copy of October Girls . 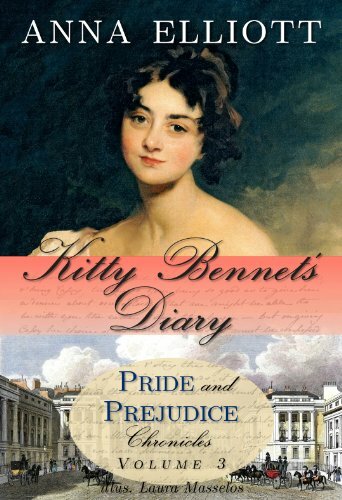 Kitty Bennet’s Diary (Pride and Prejudice Chronicles), by Anna Elliott and Laura Masselos, is regularly $5.49 but has been discounted 46% to just $2.99 today in the Amazon Kindle store, and this book has received an average user rating of 4.8 out of 5 stars based on 13 customer reviews. Kitty Bennet is finished with love and romance. She lost her one-time fiance in the Battle of Waterloo, and in the battle’s aftermath saw more ugliness and suffering than she could bear. Staying with her Aunt and Uncle Gardiner in London for the winter, Kitty throws her energies into finding a husband for her hopelessly bookish sister Mary, and discovering whatever mysterious trouble is worrying her sister Jane. But then she meets Mr. Lancelot Dalton, a handsome clergyman with a shadowed past–and discovers that though she may be finished with love, love may not be at all finished with her. Kitty Bennet’s Diary is Volume 3 of the Pride and Prejudice Chronicles. It can be read alone, but refers to events from Volumes 1 and 2. Kitty Bennet’s Diary is appropriate for all ages. Click here or type in http://smarturl.it/sgueym into your web browser to pick up your copy of Kitty Bennet’s Diary (Pride and Prejudice Chronicles) . Shadow Unit 1, by Emma Bull, is free today in the Smashwords store, and this book has received an average user rating of 5 out of 5 stars based on 3 customer reviews. If you missed the post on how to download free books from the Smashword site, you can click here or type in http://smarturl.it/pe3m7d into your web browser. The FBI’s Behavioral Analysis Unit hunts humanity’s worst nightmares. But there are nightmares humanity doesn’t dream are real. The BAU sends those cases down the hall. There, Stephen Reyes and his team pursue criminals transformed by a mysterious force: the anomaly. Welcome to Shadow Unit. The Shadow Unit series was created by award-winning authors Emma Bull and Elizabeth Bear. Click here or type in http://smarturl.it/dqa9ro into your web browser to pick up your copy of Shadow Unit 1. 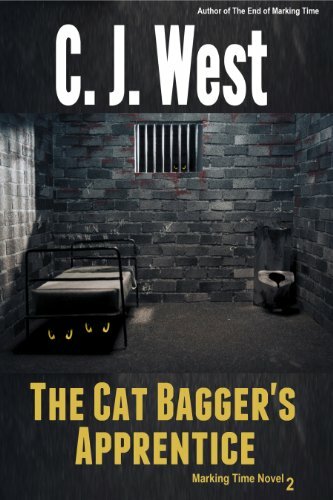 Today’s Featured Kindle Book of the Day is The Cat Bagger’s Apprentice (Marking Time), a new release by best-selling author C.J West, and this book is just $2.99 in the Amazon Kindle store. Computer hacker, Jordan Voss is caught breaking into a sensitive government database and is arrested, tried, convicted and sentenced all in one day. Sounds like a third world dictatorship, but this is America after reeducation revolutionizes the criminal justice system. Jordan is moved to a special apartment where everything he does is monitored. Every person he meets, including the carpenter who comes to fix his broken door, is a counselor, working to teach Jordan to follow the law and, more importantly, to assess whether he is fit to live in polite society. Jordan received his Ph.D. at fifteen years old, so when his counselors try manipulating him with psychological ploys, they keep winding up one step behind. Jordan takes control and runs amok, exploiting every weakness in his reeducation team, pitting them against one another and causing complete chaos. When the inevitable crackdown comes from above, Jordan’s life is on the line. Click here or type in http://smarturl.it/catbagger into your web browser to pick up your copy of The Cat Bagger’s Apprentice (Marking Time). Amazon Bestselling Author C.J. West’s first novel, Sin And Vengeance, was adapted for film by award-winning screenwriter Marla Cukor, and optioned into development by Beantown Productions, LLC. Avid fans insist that any mystery or suspense lover who reads Sin And Vengeance and The End of Marking Time will become a C.J. West fan. C.J.’s Randy Black series features Sin And Vengeance, A Demon Awaits, and Gretchen Greene. The series is unusual because Randy Black undergoes a major transformation in the second book. Many readers are amazed at how strongly they root for a character they despised. The End of Marking Time provides a touch of sci-fi as Michael O’Connor navigates a criminal justice system that substitutes counselors and monitoring technology for prisons and guards. This intense psychological novel challenges readers to consider all they know about crime and justice. For traditional mystery readers, C.J. offers the Lorado Martin Mystery Series about a junk man who splits his time between the worlds of antiques and collectibles and his work providing housing and jobs for recovering addicts. The first book in the series, Dinner At Deadman’s was released in 2012. You can visit C.J.’s Amazon author page if you click here or type in http://smarturl.it/cjwest into your web browser. Here are four discounted Kindle book offers for your consideration from highly-rated independent authors who have discounted the pricing for a limited time just for members of the blog. 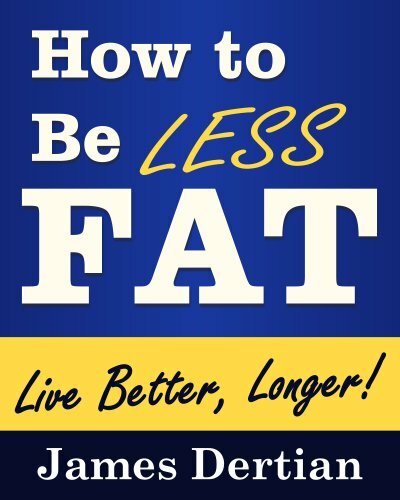 How to Be LESS FAT (Live Better, Longer), by James Dertian, is regularly $1.99 but has been discounted 50% to just $0.99 in the Amazon Kindle store, and this book has received an average user rating of 4.6 out of 5 stars based on 19 customer reviews. Click here or type in http://smarturl.it/bc6i81 into your web browser to pick up your copy of How to Be LESS FAT (Live Better, Longer ). 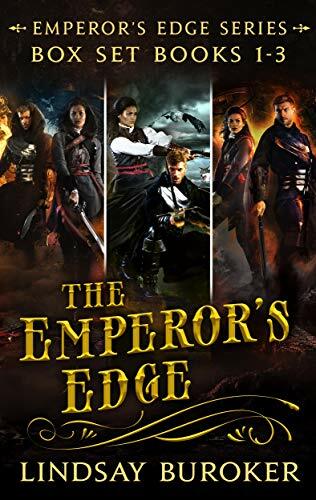 The Emperor’s Edge Collection (Books 1, 2 and 3) , by Lindsay Buroker, is regularly $2.99 but has been discounted 67% to just $0.99 in the Amazon Kindle store, and this book has received an average user rating of 5 out of 5 stars based on 12 customer reviews. For those who enjoy adventure, fantasy, steampunk, and heroes who are just as likely to battle with words as with swords, the first three Emperor’s Edge novels are now available in one collection. Follow enforcer-turned-outlaw Amaranthe Lokdon, the infamous assassin Sicarius, and their team of aspiring heroes as they attempt to clear their names by thwarting evils aimed at the young emperor. Each full-length novel is over 100,000 words (300 pages). Click here or type in http://smarturl.it/v5ftfk into your web browser to pick up your copy of The Emperor’s Edge Collection (Books 1, 2 and 3). 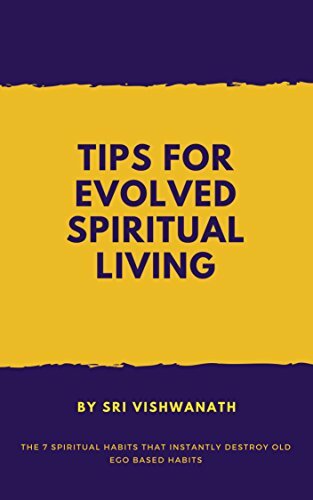 7 Common Signs of a Spiritual Awakening, by Sri Vishwanath, is regularly $2.99 but has been discounted 67% to just $0.99 in the Amazon Kindle store, and has received an average user rating of 4 out of 5 stars based on 22 customer reviews. A mind -altering world of spiritual comfort and clarity awaits readers of “7 Common Signs Of A Spiritual Awakening”- Learning how to access and master dormant links to their personal concept of divinity will instill a life long liberation from the moral morass of the day. Both spiritual as well as practical rewards will mark your new outlook and personality. In effect, your mind is somewhat rewired and enormously self-strengthened through digesting and then using the book’s clear cut and profound text. The profound messages, broken down into easily understood dictums and examples that enable remarkable transformations are greatly enriched by numerous stories and parables which illumine their depth and power. The person you are when you turn the first page will be different than the person who close the last page. Click here or type in http://smarturl.it/pa47f4 into your web browser to pick up your copy of 7 Common Signs of a Spiritual Awakening . 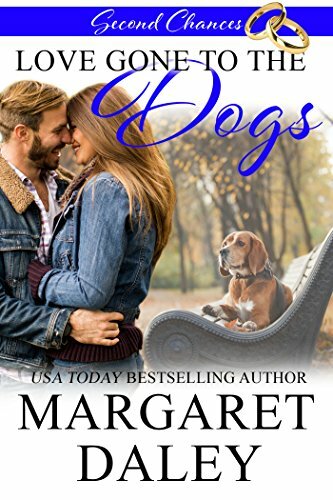 Love Gone to the Dogs, by Margaret Daley, is just $2.99 today in the Amazon Kindle store, and this book has received an average user rating of 4.3 out of 5 stars based on 22 customer reviews. Click here or type in http://smarturl.it/roa7m7 into your web browser to pick up your copy of Love Gone to the Dogs . 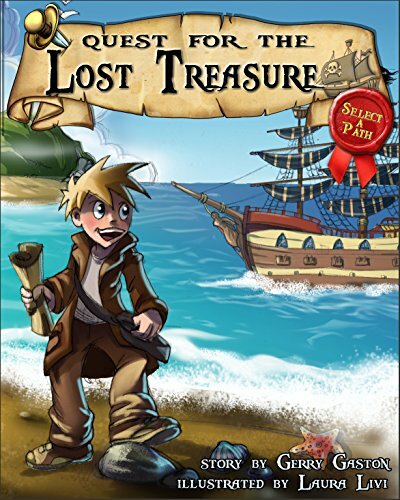 Quest for the Lost Treasure, by Gerry Gaston and Laura Livi, is regularly $1.99 but has been discounted 50% to just $0.99 in the Amazon Kindle store, and this book has received an average user rating of 4.2 out of 5 stars based on 59 customer reviews. “Choose Your Own Path” Pirate Adventure for Ages 3-8! Your epic journey begins when a band of Pirates raid your village and you set out to track down the thieving pirates and recover the lost gold and jewels. The unique interactive format allows you to control the progress of the story, as it is being told! Will you dare to explore what’s behind the closed door, or play it safe and escape up the stairway? Click here or type in http://smarturl.it/razqq0 into your web browser to pick up your copy of Quest for the Lost Treasure . The Life and Prayers of Saint Joseph , by Wyatt North, is regularly $2.99 but has been discounted 67% to just $0.99 in the Amazon Kindle store, and this book has received an average user rating of 4.9 out of 5 stars based on 48 customer reviews. 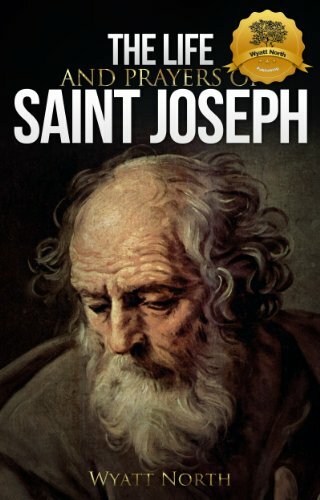 One part biography, one part prayer book, The Life and Prayers of Saint Joseph is an essential book for any Christian. Saint Joseph is often called the hidden saint. Although there is so little written about Joseph in the Scripture and in the apocrypha, or perhaps because there is so little written, the life of Saint Joseph can be quite a complicated subject. The theological study of Saint Joseph, known as Josephology, shows us how differently the saint has been perceived throughout history, in different parts of the world, and in different denominations. As we go looking for Saint Joseph, we must be aware of this winding path. From the sometimes conflicting evidence, and our faith, we must make our own informed judgments. Click here or type in http://smarturl.it/qzv3id into your web browser to pick up your copy of The Life and Prayers of Saint Joseph . 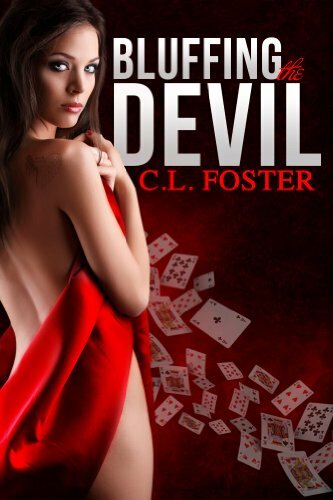 Bluffing the Devil, by C.L. Foster, is regularly $1.99 but has been discounted 50% to just $0.99 in the Amazon Kindle store, and has received an average user rating of 4.9 out of 5 stars based on 14 customer reviews. Click here or type in http://smarturl.it/1qzofx into your web browser to pick up your copy of Bluffing the Devil . 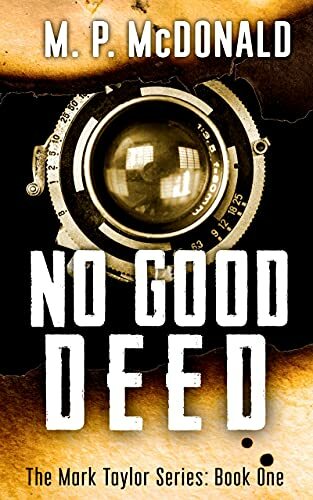 No Good Deed, by M.P. McDonald, is regularly $3.99 but has been discounted 25% to just $2.99 today in the Amazon Kindle store, and this book has received an average user rating of 4.4 out of 5 stars based on 220 customer reviews. I read this book in 2011 and thought it was outstanding, and rated it a 5 out of 5 stars in my review: you can read the review I wrote if you click here or type in http://smarturl.it/rmfa4s into your web browser. If you like a good thriller that will make you sit back and think months after reading it, I would recommend this one! Mark Taylor discovers first hand that no good deed goes unpunished when the old camera he found during a freelance job in an Afghanistan bazaar gives him more than great photos. It triggers dreams of disasters. Tragedies that happen exactly as he envisions them. He learns that not only can he see the future, he can change it. Then the unthinkable happened and everyone ignored his frantic warnings. Thousands die. Suddenly, the Feds are pounding on his door and the name they have for Taylor isn’t urban hero. It’s enemy combatant. And, it means they can do anything they want to him. Anything at all. Mark Taylor is the quintessential reluctant hero. With a camera that snaps photos of the future, he has a day to change the photos–to prevent tragedies from happening. His attempts to prevent 9/11 bring him to the attention of the authorities, but they don’t believe that he was trying to prevent the attacks. Instead, they label him an enemy combatant and lock him in the brig. With the camera gone–taken by the Feds–he must find a way to prove his innocence, but with no trial and no rights, will he ever get the chance? Click here or type in http://smarturl.it/ax8zb9 into your web browser to pick up your copy of No Good Deed . The Last Roman, by Edward Chrichton, is free today in the Smashwords store, and this book has received an average user rating of 5 out of 5 stars based on 11 customer reviews. If you missed the post on how to download free books from the Smashword site, you can click here or type in http://smarturl.it/pe3m7d into your web browser. As their mission unravels around them, Hunter discovers a curious trinket that belies all rationality and our understanding of the universe, but he is drawn to it nonetheless, bewildered by its uniqueness. Unable to control his urges, Hunter touches it, and in a flash of brilliant light and intense pain, the team is no longer in contemporary Syria – but in Ancient Rome during the reign of the emperor Caligula. They stand dumbfounded, unable to comprehend the paradox they’ve created, but the bleak truth of reality soon overtakes their disbelief. The fact that they should not be there becomes obvious almost immediately, as does the thought that with every breath they take, everything history has worked so hard to achieve is at risk of unraveling. Staying alive suddenly becomes a secondary objective, superseded by the theory that their mere presence in Ancient Rome has caused irreparable damage to the timeline. Click here or type in http://smarturl.it/06y5t8 into your web browser to pick up your copy of The Last Roman . 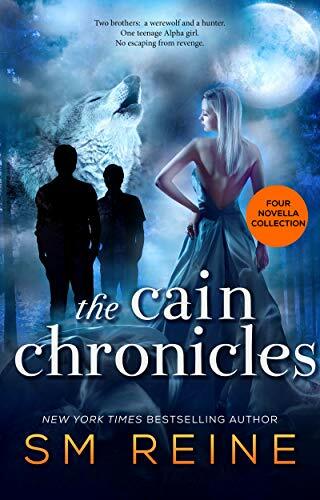 Today’s Featured Kindle Book of the Day is The Cain Chronicles, Episodes 1-4, a four book box set collection by S.M. Reine, and this collection is normally priced at $3.99 but has been discounted 75% to just $0.99 in the Amazon Kindle store; this book has received an average user rating of 4.8 out of 5 stars based on 44 customer reviews. Rylie is Alpha: the leader of the werewolves. They’re an endangered species living in a sanctuary, and she’s guarded them for two peaceful years. The peace is shattered when somebody sends Rylie a threatening silver bullet. A new member of the pack goes missing. And to make things worse, her inner wolf is strangely attracted to her boyfriend’s brother, leaving her torn between the love of two men–one of them a werewolf, and the other a former hunter. Click here or type in http://smarturl.it/53qzln into your web browser to pick up your copy of The Cain Chronicles, Episodes 1-4. Hi everyone! My name is Sara, and I write urban fantasy novels as SM Reine. I collect swords, cat hair, and typewriters (which I do use for writing!). It’s a good day when those three things have nothing to do with each other. – The #1 song on the day I was born was “Never Gonna Give You Up” by Rick Astley, which means my life is a Rickroll. – I have three black cats and one black dog, but it’s not an obsession, I swear. – I am a full time writer these days, which means I will never wear a pair of heels to the office again. Viva la sweatpants! You can visit Sara’s Amazon author page if you click here or type in http://smarturl.it/smreine into your web browser.